Writer, Award-Winning comedian and all-round manchild Sam Gore has always had a fascination with the weird and wonderful, sparked at a young age by Ripley's Believe It Or Not annuals and TV shows like Strange But True. Tragically this interest found itself progressing right up in to what loosely qualifies as his adulthood. 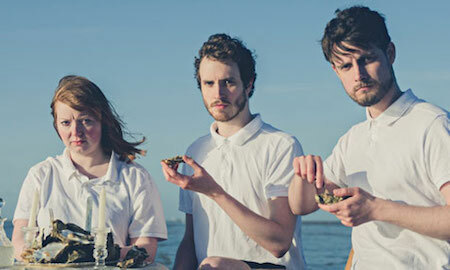 Gein's Family Giftshop "Volume 2"
Foster's Edinburgh Comedy Award Best Newcomer nominees & Chortle Award winners Gein's Family Giftshop are taking their second show to the Fringe. Ed, Kath, Jim and the one you never see are darker, faster and funnier than ever before, and they have an hour of brand new sketches that aren't for everyone but might just be for you. Tickets are £10, payable on the door.